Evo & Grace: The WanderLusts: Gegma Sa Daluyon. The first surfing competition in Palawan. Gegma Sa Daluyon. 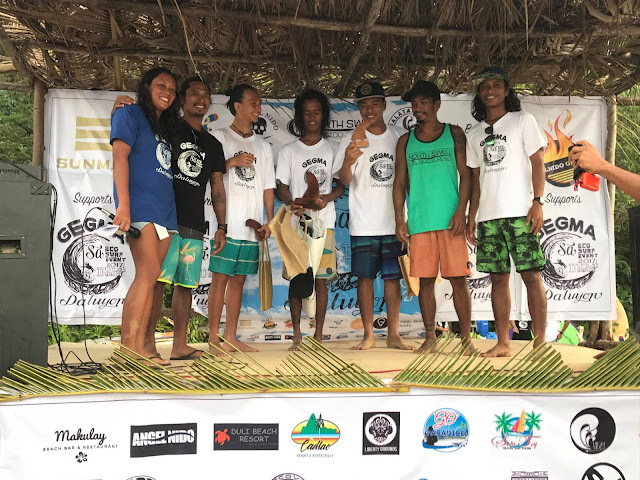 The first surfing competition in Palawan. Palawan is not just about the beach that most of us love, wake boarding find its way to the northern part of the province. The world’s best island is now the latest haven for surfers, the recently concluded Gegma sa Daluyon Eco Surf Event, held at Duli beach in El Nido, Palawan last December 27 and 28, 2017 is a proof that the last frontier province is also a good venue for surfing wannabe in the country. The unspoiled and unexplored Duli beach in Brgy. 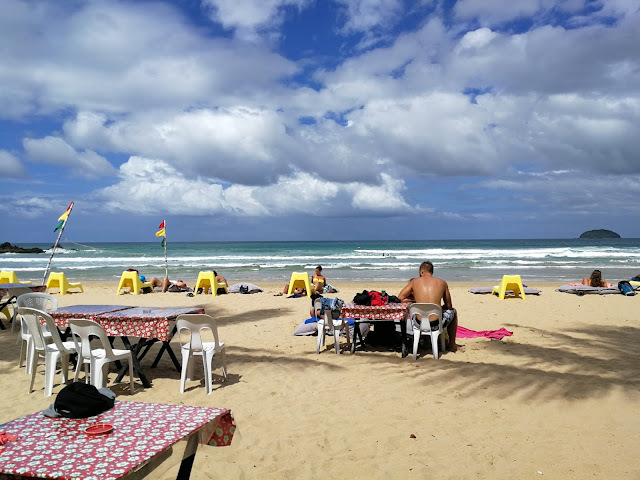 Bocana is becoming popular in El Nido as alternative destination for local and foreign tourist, who want peace, quiet and relaxing venue that is not surrounded by any eye sore establishment, just pure nature. It’s almost one hour drive away from the marble cliff town to this area, approximately 20 minutes from Nacpan beach, another popular beach area of El Nido. Organizers and participants of 1st Gegma Sa Daluyon. 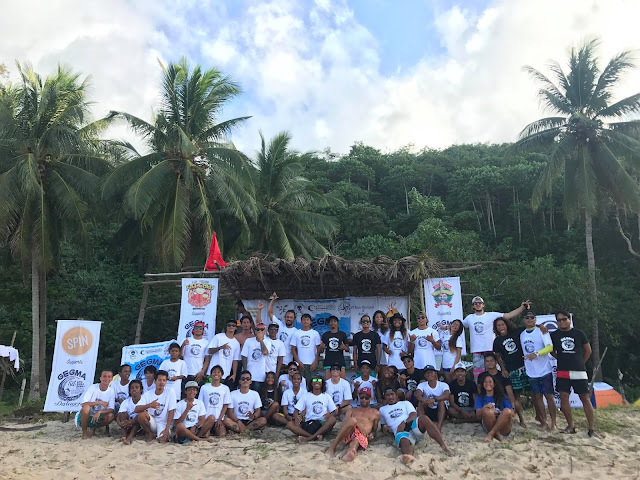 Gegma sa Daluyon or Love of waves is just a gathering of surfers all over Palawan, mostly from El Nido, Narra and San Vicente, there are 30 registered surfers who join this first ever surfing competition organized the local surfers themselves. 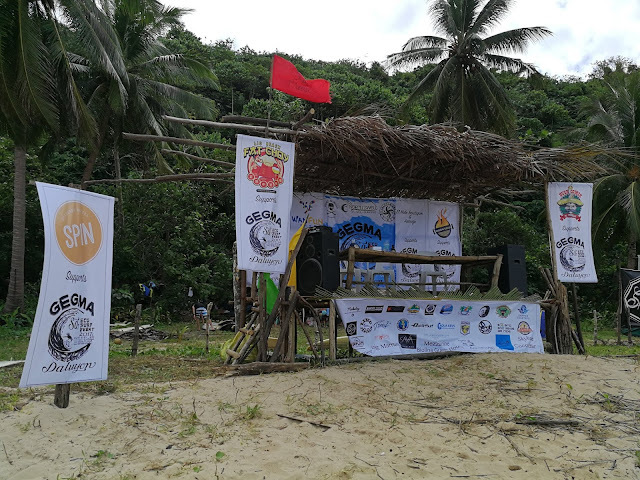 According to Dexter Garcia, one of the organizer of this pioneer event they just want to make this competition as merely gathering of Palawan surfers, they don’t invite expert or celebrity surfers yet since it’s just a trial event for them, this is a follow up of what they organize wayback at Nagtabon beach in Puerto Princesa City. Each surfers pay a minimal amount for registration fee with a token of event shirt, prices in different category is not announce since it’s not the main reason why they join, more in camaraderie and unity among local surfers is what they promote, plus a help for the local fishing community since it’s a an off season in fishing due to high waves. “Yung mga fisherman pag maalon wala ng trabaho sa place na to, di nila alam na puede nila pagkakitaan yung waves.” Garcia said. Duli as a beach destination have limited resources in terms of accommodation, most of its guest are into camping mode in order to enjoy its raw beauty. Surfers who offer wakeboarding lesson are in the area for a minimal fee. 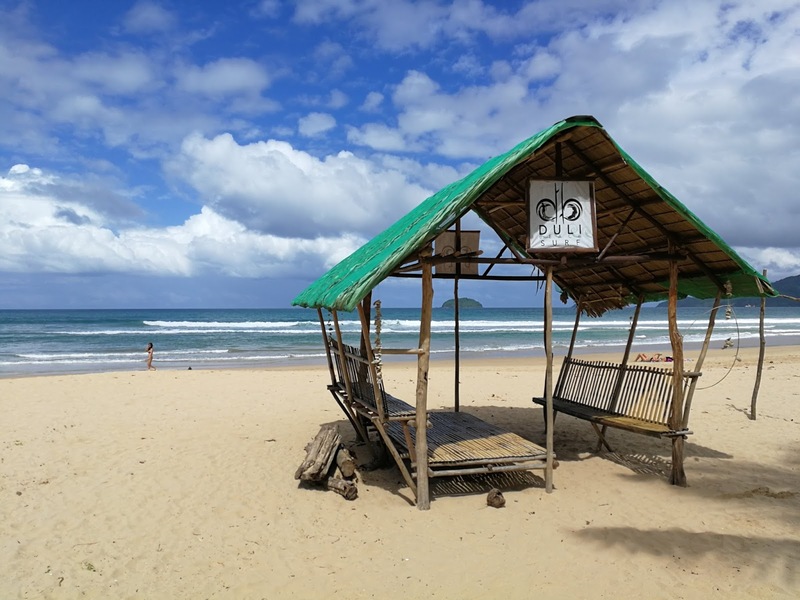 November to April is the best time to visit Duli and enjoy its mighty waves. When the waves are gone during summer, paddle boat is the in activity for its guest in Duli. 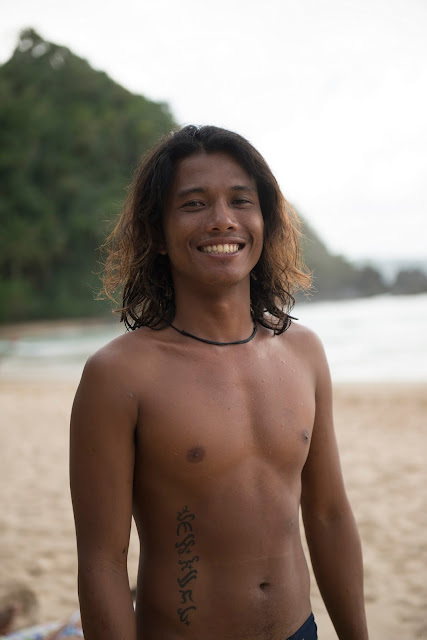 “The Good thing na ma-promise namin sa Duli is nice beach, even not surfer mae-enjoy nya yung area at the same time maka-kapag-surf ka ng maayos lalo na kung beginner ka dahil wala ka mababangga, kasi hindi crowded.” Garcia added. 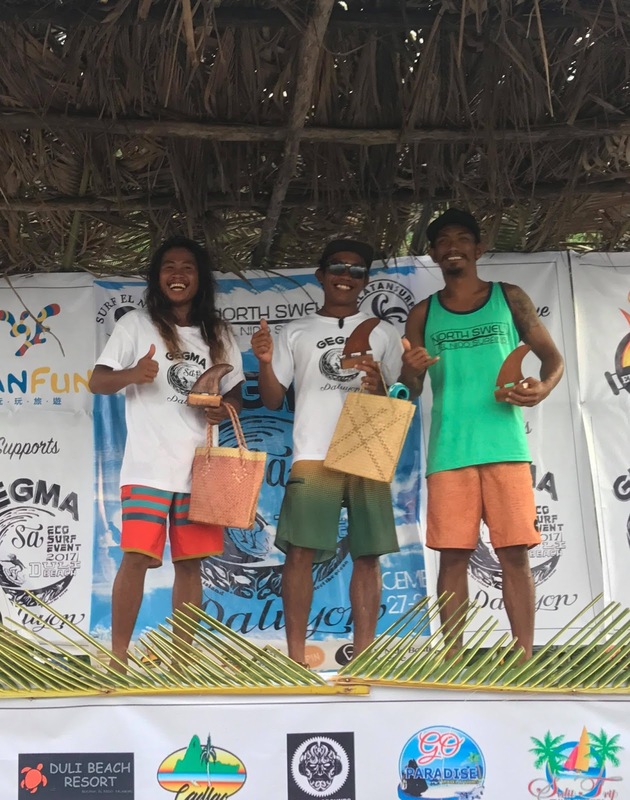 Here are the complete list of winners in different category of the first Gegma Sa Daluyon EcoSurf Event. The second Gegma is now in the works most likely December of 2018. Garcia is also looking forward to invite surf experts and professionals someday to be part of their event, they are appealing also to Philippine Surfers Association to visit them, and probably update them in latest trend in surfing. Gegma and Daluyon is a Palawan dialect (Cuyonon) means love while Daluyon means waves. 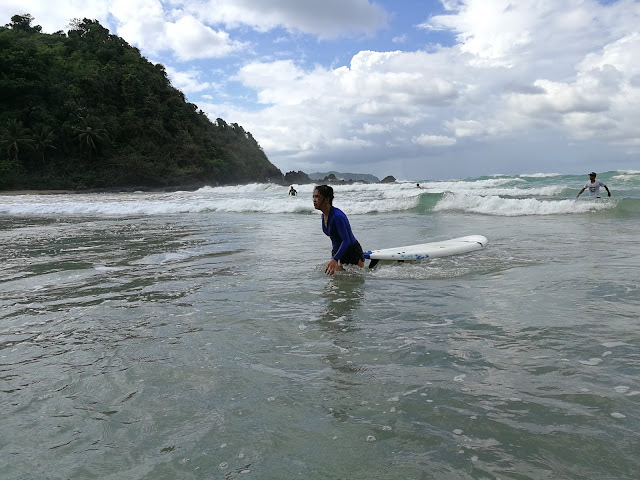 For interested surfer who wish to visit El Nido, you may get in touch with SalatanSurf El Nido in Facebook.